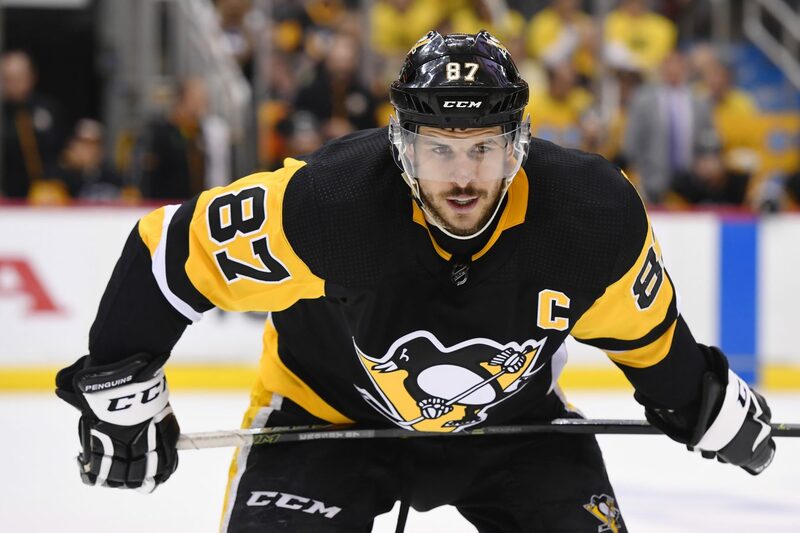 Point Shot: Crosby shows why he’s so valuable - The Point Data-driven hockey storytelling that gets right to the point. The Pittsburgh Penguins put together a dominant win over the Dallas Stars last night in Sidney Crosby’s first game back from missing 3 games. The Pens gave up very little to the Stars and Crosby led the way on the offense. Crosby started his night off by making a great backhand cross-ice pass to Jake Guentzel for a one-timer goal. He followed it up with a classic Crosby individual effort on his goal. He used his unbelievable lower body strength to hold off Esa Lindell and make a power move to the net, throwing a backhand at Anton Khudobin and kicking the rebound up to his stick to bang it home. His goal finished off a 3-goal first period for the Pens, putting the Stars in a hole they couldn’t climb out of. Crosby wasn’t finished yet, though. He followed up his first period by picking off a dump-out attempt, making a quick cut-back move on Roope Hintz then passing cross-ice to Olli Maatta who threw one on net and Patric Hornqvist knocked home the rebound. Crosby is the leader of this team and drives the play for them. When he’s in the lineup, he gives them someone who can get the puck out of their zone and into the offensive zone where he and the rest of the forward group are extremely dangerous. 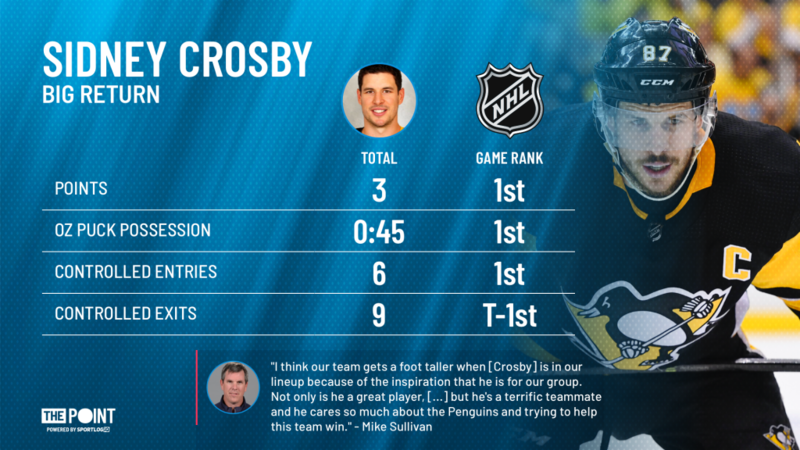 The Pens hadn’t won since Crosby went down and last night was a perfect example of why they need him in the lineup. They have plenty of offense but when Crosby’s out there he gives them that extra edge that’s made them one of the best teams of this decade.